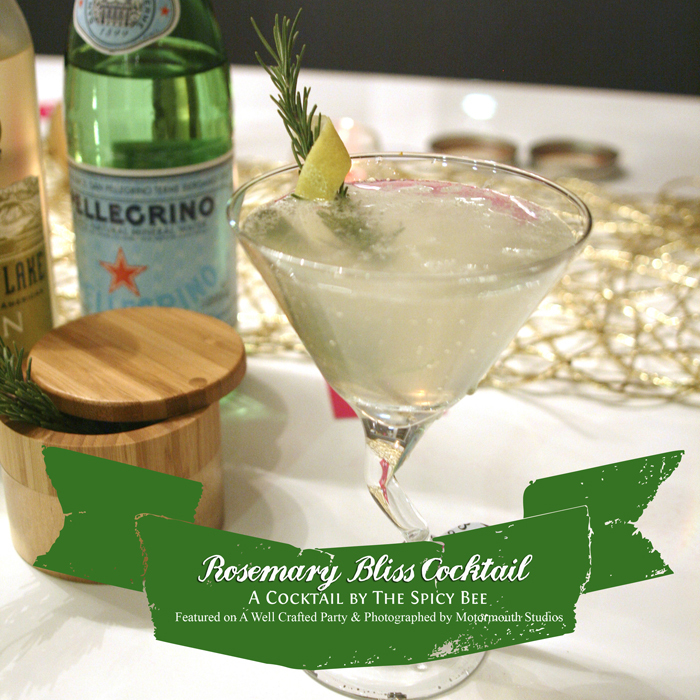 Make sure to pop over to my dear friend Jenni at A Well Crafted Party for a delicious Rosemary Bliss Cocktail recipe by yours truly! This was my cocktail creation for the NYE Party Shoot! It’s a very easy drink, especially if you make the rosemary simple sugar in advance of your party. Thanks so much for sharing it with me! It is delish! Great idea infusing the simple syrup with rosemary. Can’t say I’ve ever had a rosemary cocktail before.